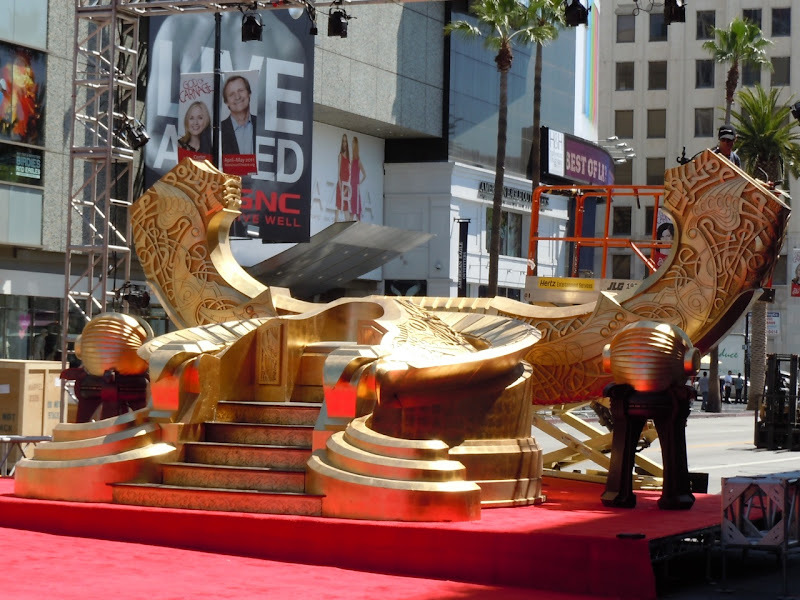 Yesterday not only did I attend the Hollywood premiere of Thor, but I also went earlier in the morning to see the red carpet set-up, which featured the golden Odin's Throne featured in the first big screen movie adaptation of Marvel Comics Norse mythological superhero. 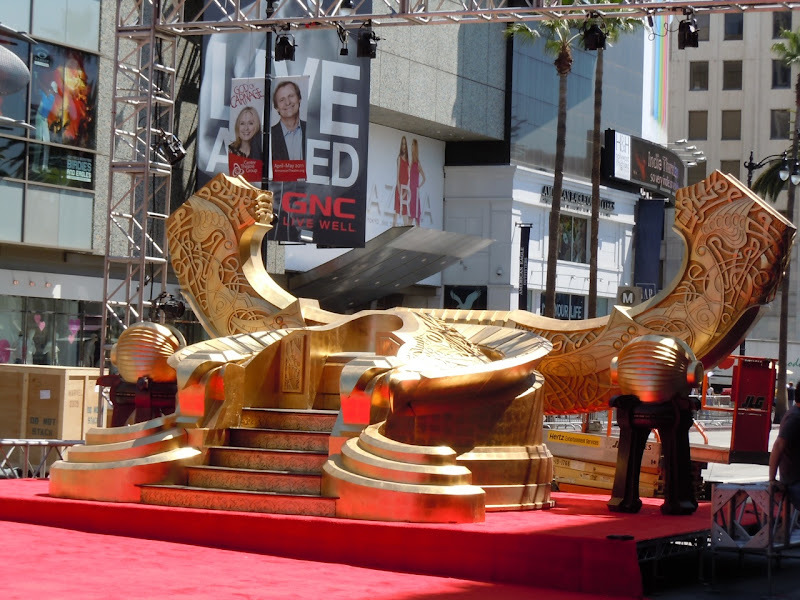 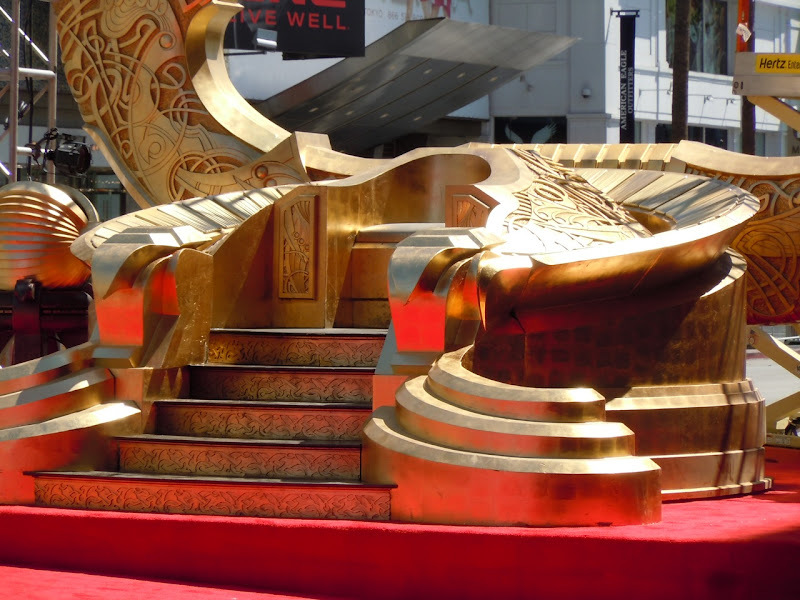 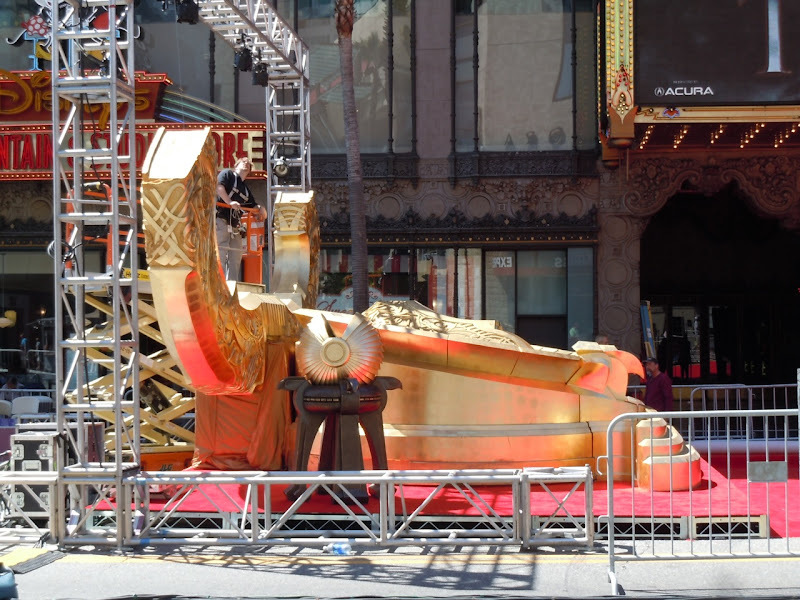 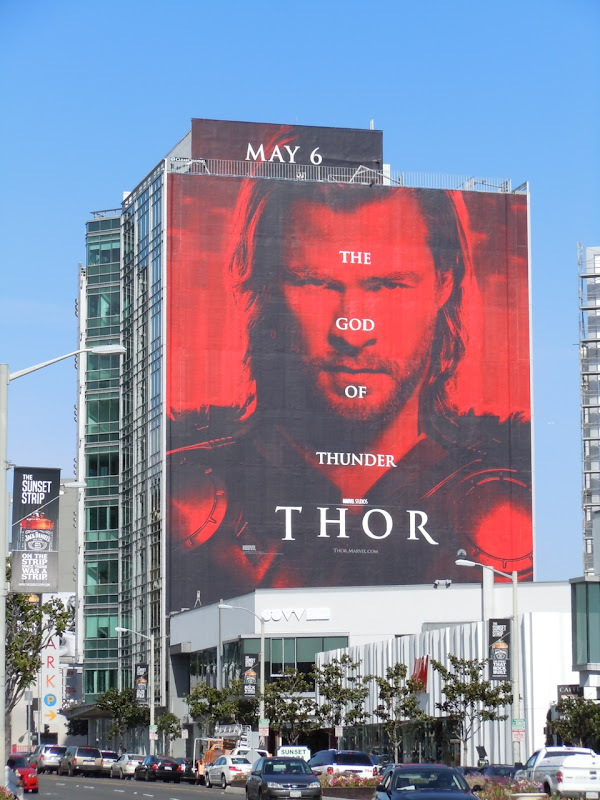 The Hollywood premiere for Thor took place on May 2, 2011 and Odin's Throne could be found outside the El Capitan Theatre at the end of the red carpet. 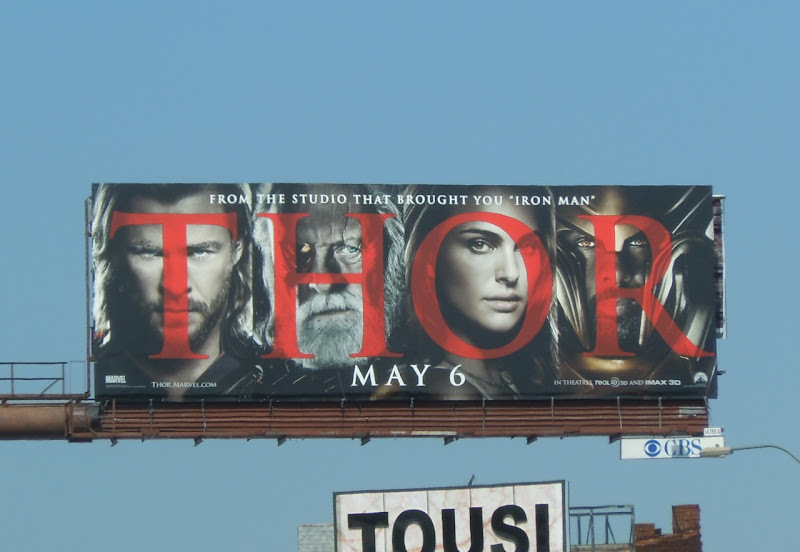 'Odin', played by Anthony Hopkins in the movie, is the God of Thunder's father and rules the mythical world of Asgard. the Golden Realm of Asgard. 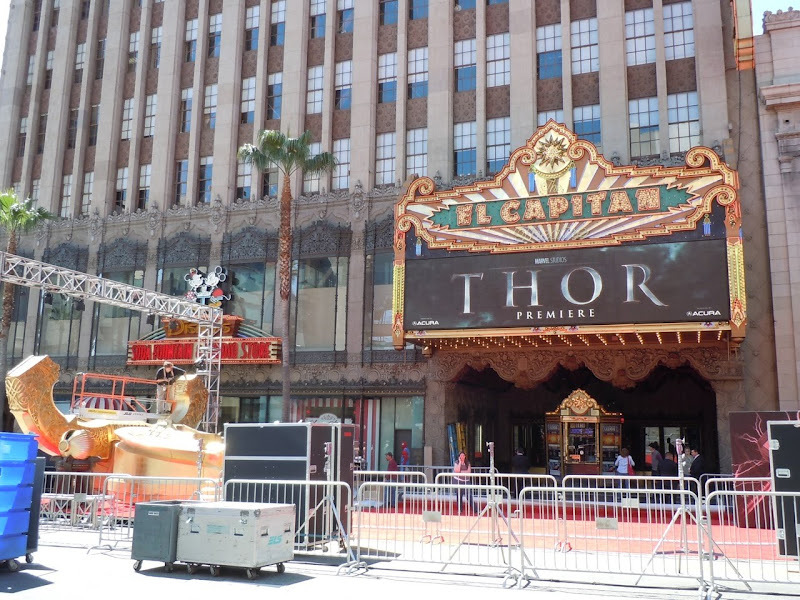 See more behind-the-scenes photos from the Thor Hollywood premiere set-up at Jason in Hollywood.